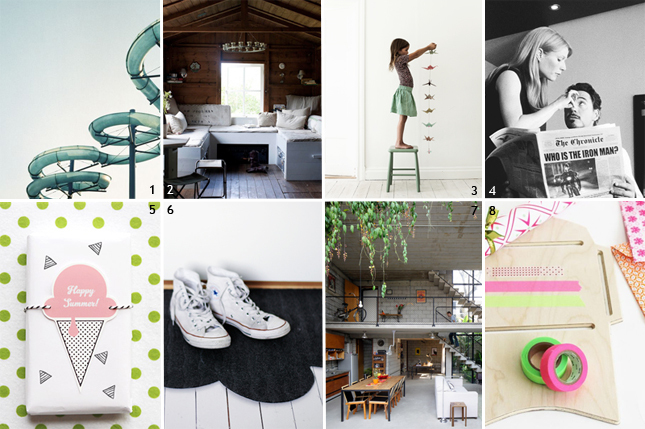 The beautiful Pinterest board Colors from Mette Kirstine Brinch. A little summer cabin, decorated with a holiday feeling. What a lovely photo's of this girl from Mokkasin; find the tutorial for the garland here. Packing gifts is one of the things I love to do most. It will be even better with these printables. Make your own hallway cloud doormat with this tutorial from My Scandinavian Home, gorgeous. A house of concrete with a warm feeling to it, it's possible. Wooden molds for making envelopes, handy!